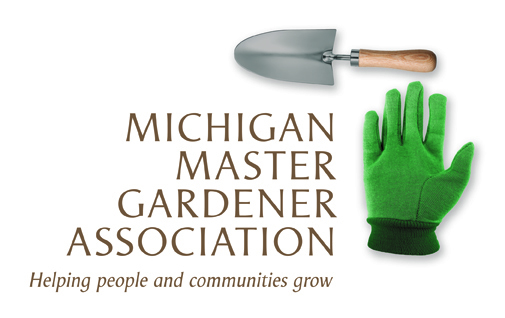 Michigan Conservation Stewards Program (Jackson) — Michigan Master Gardener Association, Inc. Thank you for your interest in the Michigan State University Extension Michigan Conservation Stewards Program (CSP), a volunteer leader training program for those who are enthusiastic about learning science-based ecosystem management principles and sharing this knowledge with others to help improve Michigan communities. CSP is ideal for individuals interested in Michigan's natural communities, current conservation issues, outdoor recreation, nature study, natural area management, and a variety of other topics such as lake/stream monitoring and habitat restoration. Through participation in this program, you will learn essential strategies to help restore and conserve ecosystems in Washtenaw County and throughout Michigan. Becoming a Conservation Steward involves the completion of the following: 1. Classroom and field-based training led by experts in various fields of conservation and natural resources, including lectures, interactive learning and field experiences; 2. Self-paced online learning modules provided via Michigan State University's D2L course management interface which participants will complete on their own time; and 3. Volunteer service in the form of an in-class Capstone (applied) Project as well as additional community volunteer service related to restoring and conserving Michigan's ecosystems. Program Planners for the Jackson Conservation Stewards Program include staff from Michigan State University Extension, volunteer Jackson county resident Conservation Steward and Master Gardener, Crossroads Farm and Wildlife Center, Inc.
Instruction is provided by Michigan Natural Features Inventory, Michigan State University and Michigan State University Extension and a variety of local experts. Throughout the course, you will be visiting many ecologically diverse locations that highlight the natural ecosystems of the greater Jackson County area. February 28: Program Orientation/Nuts and Bolts; Conservation Heritage- Michigan State University Extension, 1715 Lansing Avenue, Jackson. March 7: Ecological Foundations – Environmental Studies Center of YMCA Storer Camps, 7260 S. Stony Lake Road, Jackson. March 21: Aquatic Ecosystems (focus on natural communities) – Environmental Studies Center of YMCA Storer Camps, 7260 S. Stony Lake Road, Jackson. April 4: Aquatic Ecosystems (focus on management options) – Environmental Studies Center of YMCA Storer Camps, 7260 S. Stony Lake Road, Jackson. April 18: Terrestrial Ecosystems (focus on natural communities) – MacCready Reserve 9243 Skiff Lake Rd, Clarklake. May 2: Terrestrial Ecosystems (focus on management options) – Highfields, Onondaga. Comply with the MSU Extension Volunteer Agreement and Code of Conduct. Program Registration Fee: $250. Last date to register is Feb. 20, 2018. A full refund minus a $25 cancellation fee will be assessed to those requesting a refund on or after Feb. 20, 2018 and up to seven business days prior to the start of class. No refunds will be issued six or less days prior to the start of class. Partial financial aid may be available. Please see "Scholarships" section below. For complete program details please visit the Michigan Conservation Stewards Program page. Some partial scholarships for 2018 CSP Washtenaw participants are available. The 2018 scholarship application process is incorporated into the course registration. To apply for financial assistance, please complete the entire registration process, including payment of the course registration fee in full. Note: Enrollment in this program is limited. It is important that you complete the registration process including paying in full so that you don't lose your seat while you await notification of your scholarship. Requests will be accepted on a rolling basis, reviewed based on the order in which they are received, and until scholarship funds are fully allocated. Awardees will be notified within seven days of when scholarship information is received, and no later than Feb. 20, 2018. All scholarship requests must be submitted no later than Feb. 20, 2018. Those receiving scholarships will be receive a refund from MSU upon completion of the program.